We cannot hide the fact that IVF tests are not always successful. Many a times the outcome of IVF tests do come out to be negative. Well, this is disheartening, but one has to accept the failures and overcome that in a positive way. Also, if we come to the fact, unsuccessful infertility treatments in Delhi doesn’t mean that you will never have a child in future. If you have gone through such failures and you are looking for some recommendations to come out of this emotional stress and boost up your fertility, you should read below. Take your time: Give yourself enough time to overcome this stress and come out of it in a positive way. Engage yourself in other activities that make you happy. Go out for a dinner with your family and friends. Hit the reality: Now, once you are almost out of the tension and worries about your previous failures, it’s time to face the reality now. Get yourself engaged with your doctor and ask reasons for the previous IVF failure. Get yourself clear with all the doubts and understand thoroughly what the reason for failure was and how to overcome that. Consult the best IVF doctors in India, who are capable of guiding you some best ways to understand where was the mistake done, what all are the weak points and how to overcome those. Go for fertility cleansing: This process helps in balancing your hormones again after IVF. It helps your body to detoxify and just takes a month to clean up. Improve your diet: Include more of monosaturated fats in your diet. Having healthy fats in your diet will help in making more hormones. Also, try some super food for fertility like Pumpkin Seeds, Broccoli, Ginger, and drink lots of water. Also, avoid taking alcohol and smoking as it also puts an impact on your fertility health. Even after unsuccessful IVF, many couples go on to have children. So one should just not lose hope and should look for further opportunities. Success rate not only depends upon the tests that you have gone through. Factors like age, overall health, the way of living and diet also puts an impact on the result. 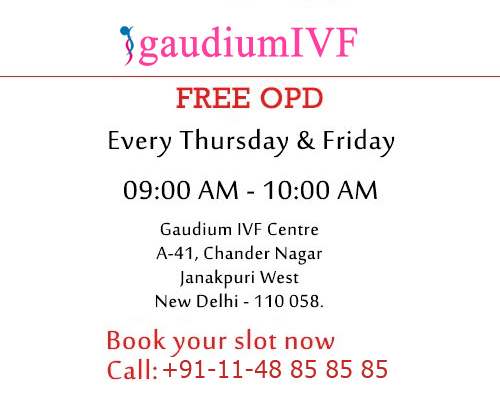 The top fertility experts at Gaudium IVF, the best IVF centre in Delhi offers multi-disciplinary care and high patient satisfaction rates, book your appointment today.